Emerging techno DJ & producer, Anna V. joins us for our Birthday celebrations on Saturday April 27th having just launched her own label Voltage Records with the new ‘Quantum Entanglement’ which also boasts a Joey Beltram Remix. Known for her intense and spontaneous DJ sets, Anna’s recent releases ’The God Particle’ on Nicole Moudaber’s Mood Records and her Top 10 Remix of Pig & Dan’s ‘Modular Baptism’ have helped establish her as one to watch. 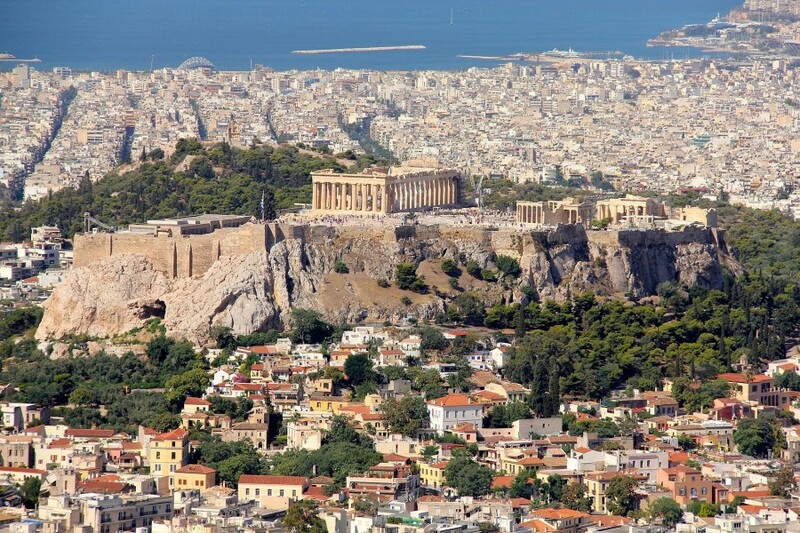 Here she shares some of the best things about her hometown, Athens. You can feel it everywhere! Athens was the cradle of western culture and civilisation. It’s the birthplace of democracy, arts and sciences. This is the place where ‘everything started’ and just by walking in downtown Athens you can feel this silent awe everywhere. Athens has this invisible marvel around it - it’s like the ancestors are still here. Oh the food! Mediterranean and modern fusion at its best! The cuisine is excellent and the raw ingredients are among the best anyone can ever taste in any part of the planet. Both the classic and the modern interpretations of the original Greek cuisine are at their best time ever, since Greeks finally realised and invested in the heritage of their culinary traditions. Doesn’t matter if you’re a vegan or a meat lover, everyone should be ready for a taste challenge. It’s impossible to be in Athens in any given weekend and not be able to sample some of the finest techno line ups with International and Greek guess DJs headlining its growing club scene. In the last 5 years the scene has been reborn with the help and persistence of promoters and clubs and of course the techno clubbers who have created some of the most amazing crowds a DJ can encounter. This is the magical part - you don’t have to plan anything in advance. Just got out for a coffee or a drink and its 100% certain that you’ll have friends hanging out with you. Athenians go out a lot - they rarely stay indoors. Despite the devastating 10 year long recession that’s still hitting the country hard, they just can’t stay inside. Also there’s no specific time for anything and so you just go out out and friends are there. This is what I admire about this city. Having traveled a lot I believe that Athens is one of the most welcoming cities. If you’re from abroad, no problem, everyone speaks English in one way or another and Athenians are always keen on socializing and being hospitable. It’s a warm place that will offer you a friendly hug and make you feel at home whoever you are. Catch Anna V at Egg London's 16th Birthday on Saturday 27th April with Nicole Moudaber // Artbat // Hito // Frankey & Sandrino joining her!